I love these blogging challenges. Finding out the why, when, where, who & what of my favorite blogs is awesome. 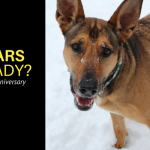 These challenges bring us closer together & help us grow, so if you have a pet blog be sure to join in– it’s an awesome opportunity for feedback & support. Started blogging in the summer of 2014. Puppy Leaks is for dog owners looking for some simple ways to improve our lives with our dogs. 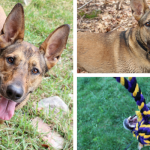 From training tips to stuffed Kong recipes – I like to write about things all dog owners can use. Being nominated for the Best New Pet Blog at Blog Paws. It was something I never expected and I squee’d like a little girl watching the ceremony from home. Laika had never heard such a noise come from me, and hasn’t since. She was shocked as well – though for a slightly different reason. 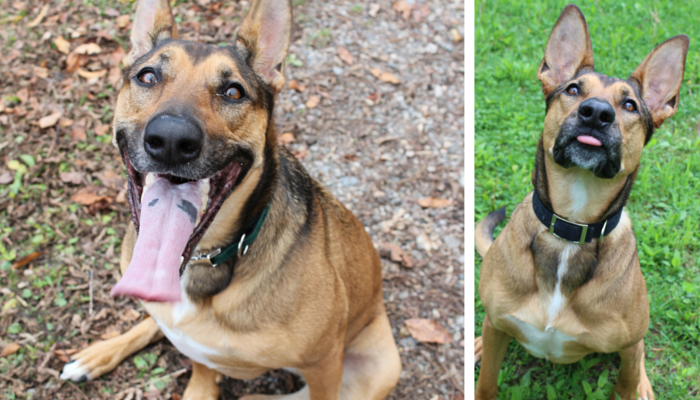 Please Stop Sharing That Guy Walking Shepherd’s Off Leash. 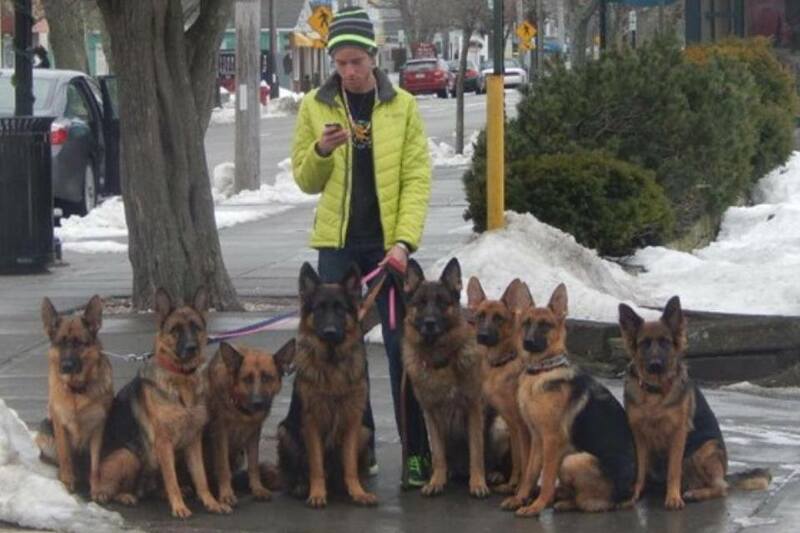 Have you seen that video of the dude walking his 6 German Shepherd’s “like a boss” off leash? Turns out the dude is a complete douche that abuses his dogs. My post has been linked on sites that share his videos with comments like “do you know what this guy really does” so I’m very happy. I find it wonderful that I rank for “guy walking shepherd’s off leash” so when people search it they’ll find mine before they spread any more of his crap. You remember this guy now right? Photo taken from the Griffin Shepherd Kennels FB page. 33 Simple Ways to Keep Your Dog Busy Indoors went viral, but it didn’t happen overnight. After trying 3 different designs on Pinterest this image finally took off. Since this Pin has done so well (over 48k shares) I can say that using a great image & catchy list headline can be worth well more than 1000 words. Creating images that do well on Pinterest is so worth the extra time & effort, and it doesn’t take long at all once you’re familiar with photo editing. Unlike other social networks Pinterest brings in steady traffic long after that first post – I’m still getting 500+ visitors a day from that one Pin. I wrote last month about how I created that image using a free template on Canva, which is my favorite free photo tool by far. I’m obsessed with The Bloggess, The Everywhereist & The Middle Finger Project. I keep coming back for the humor and I never leave disappointed. I got carried away when I started, I was publishing daily – and although they might not be written badly they’re no longer of interest to me or anyone else. After a few months of blogging I decided I was going to stop publishing just to publish. Growth doesn’t come from a bunch of little crappy posts as I found out, it comes from writing posts that you yourself would find valuable, entertaining or inspiring. If you’re not feeling it chances are no one else will either. I changed directions and started to write more long form content and have seen more “success” since then. But it’s up to you – what do you want your blog to be known for? What do you want to share with the world? Do you want to entertain & make people laugh? Do you want to write in depth guides? Do you want to write the best damn review ever written on that new food bowl? Whatever your goal is make sure what you’re publishing hits those personal benchmarks & go from there. Don’t lose your voice by getting lost in the crowd of uninspired writing. There’s a lot of mediocre blogs out there, the ones that stand out are the ones that make you feel something or answer a specific question. When it comes to your readers make them laugh, educate them, or inspire them. That’s what people remember, and that’s what brings people back time & time again. Keep your main goal in mind before hitting publish. By giving each post a little more focus and love you can keep readers coming back for more. I’d love to be able to create more long form content and evergreen posts. One of my favorite parts of blogging is the research. Being able to produce content that links out to some of the awesome information out there that might be yet undiscovered by many is great. I’m so sick of finding that the top results on Google are those 10 page posts you have to click through… Not a fan, I’m going to do my best to fight against that trend. Let’s hear it for the art of long form content! Right? Well I love it anyway. I don’t like the idea that just because people’s attention spans are getting shorter we have to compromise. If it’s a big topic it’s going to be a big post, not one that’s going to be split into 10 parts for the sake of keeping it short. Do you have any experience with Scrivener? I’m working on a book and I’ve heard nothing but positive reviews on it but I’d love to hear that from someone I trust. Wow, so sorry you lost your long term job. That must feel like quite a blow. But amazed and impressed at all the great work you’re doing on Puppy Leaks. Thank you so much for pointing out those comments about Scrivener. Without realizing it the reviews I were reading were all coming from novelists not non fiction writers. I loved reading about your year. Thank you for sharing! I feel so lucky that I’m getting to know you more and your blog is amazing. Ah, the long-form blog. 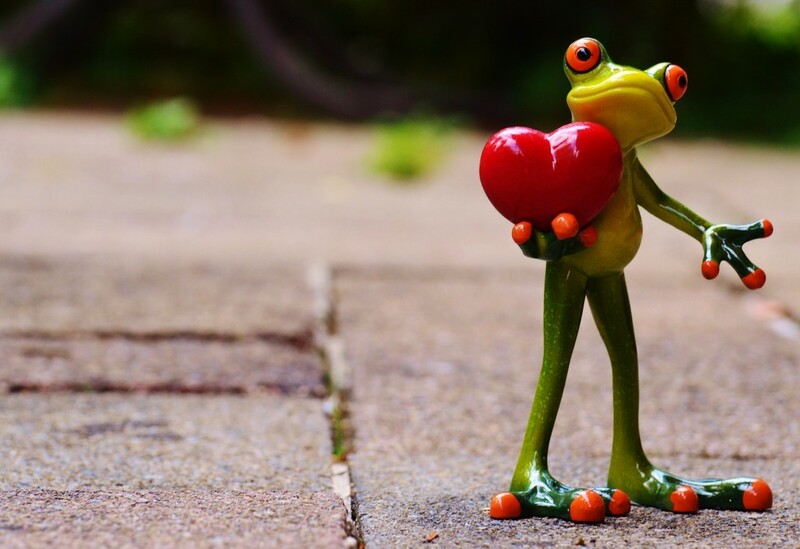 I have plenty of SEO clients that love, love, LOVE the long form. And I get it. Longer posts mean longer time on page, and that’s the sort of metric Google loves. But I am (so far) not a convert on my own blog. I can’t exactly say why that is, but I know it’s true. Maybe I’ll do some side-by-side tests and see what shakes out. I wish I knew why I loved long form so much, I think it’s just a habit. I spend hours on sites like the Atlantic or long form type blogs because I end up getting immersed. And I wish I knew which form was “better,” but I think there’s a lot of people on both sides. So for the people who like to skim I try to break my posts up with lots of sub headings so they can find exactly what they’re looking for. I am obsessed with The Bloggess as well …and was lucky to meet her at a reading a few a months ago. I am definitely going to check out all your online suggestions. Love the idea of quality versus quantity. Sometimes I feel pressure to post often, but when I do I’m never happy with results. That’s pretty sweet that you met her, I’ve been such a fan of hers for a long time. It’s rare to find someone that makes you laugh so much from their writing. Thanks for the great tip on Pinterest! That’s something I need to work on more this year. I really hate the posts that are broken into multiple pages too and I think most visitors would agree with that so I don’t worry too much if some of my posts are a little long. I can’t believe how well Pinterest works, it brings in more traffic than any other network by far for me. And one of the only real differences I’ve done is adding a “Pin-worthy” style image in each post, usually right at the bottom & it seems to be working. Thanks for your tips on Pinterest. My goal last year was to start creating better pics for Pinterest and Facebook, but my blogging went off track for several months and never really recovered. Unfortunately, I don’t have experience with Scrivener. Have a great 2016! So nice to meet you through this challenge: that’s why I love doing these. I haven’t really been focusing on Pinterest and clearly I need to start – great advice. Thanks so much for sharing that. You are doing an amazing job with Puppy Leaks, and all your success is well deserved! 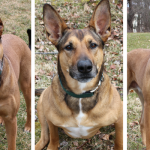 We were so happy when your name was announced at the BlogPaws conference! We are with you on the long form content – pretty much every post we write would be considered as such. Why not give as much information as possible, right? 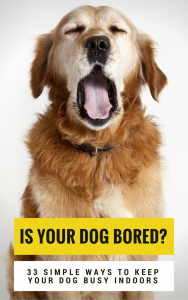 I am so impressed with the success of your “Is Your Dog Bored” pin – 48,000 shares!!! We still run across it on our feed almost daily! I DO remember your post about that guy walking his Shepherds off leash! Pinterest sounds like it can really be an amazing traffic generator…I need to work on pinning more 😉 I’ve started creating better pictures, to include my blog name underneath it as well as a short description. Much more shareable that way! I need to start using Canva to create visually appealing infographics! I love your advice! There are some days when I find contemplating posting just to post rather than posting something I’m excited about. I shouldn’t have read this, though, because now that you’ve mentioned Canva my productivity in all other areas of my life is going to go way downhill–I literally stopped reading in the middle of this to go play around with this and 45 minutes later, I’m just now getting back to finish the post and comment . . . I love the advice that you gave and it’s something I’ve been trying to do over the last 2 years. I can totally the difference between a blog post that I had fun writing verses a blog post that I put together just to publish. I love doing research on certain topics too and it always makes for longer posts but that’s what is needed! I’d rather have a good long and accurate post than a 1/2 assed one. The people that are too lazy to read it aren’t who I want on my blog anyway! I have no idea what Scrivener is. Sorry! You’ve done an amazing job and accomplished a LOT since you first started blogging, I hope you gave yourself a BIG pat on the back. I love your advice – some of my posts from when I first started blogging make me cringe now, and a few have disappeared entirely. I also love your persistence. I haven’t tried testing different images on Pinterest to see if one does better than another – but I’m going to now! Thank goodness you stuck with it, because the results you’ve gotten on that post are inspiring. I’m also thinking of writing a book, and Pamela’s suggestion to check out Edie’s comments are right-on. Good luck in 2016 – I’m sure it will be a great year for you. I’ve loved your blog from the beginning. Your content is shareable and well written. It’s one of the ones I read most often. Here’s to a bigger and better 2016! I have a friend who wrote her memoir on Scrivener (It’s called Stable Relation and features dogs and all sorts of other animals, I highly recommend it) and since seeing the program I have been meaning to purchase it for my poetry work, and someday maybe even that novel idea that lives in my head. You know I’m a huge fan of Puppy Leaks, and I have to thank you for that viral post about dog boredom since outside of Google it’s one of the top drivers to Rubicon Days! 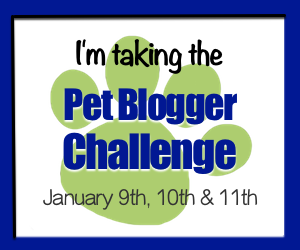 I really love reading these Pet Blogger Challenge posts and it reminds me of all the reasons that I blog. What a great post! Your advice about writing posts you are proud of is spot-on. My favorite posts are typically those that get the most traffic. I also agree with you about long form content. My posts can be lengthy, but I feel like that’s necessary if I’m to honor the research and be thorough. Those posts that are all broken up so we have to click a million times drive me nuts, too! Your blog is amazing! You do an awesome job with your posts and your social sharing. We don’t get to read every post, but we always check the ones that peak our interest and they are always good. Keep doing what you are doing. We have been working on better Pinterest images and are hoping it gets us more readers too.